In the beginning, you can easily set up a WooCommerce store using WordPress without resorting to a managed WooCommerce hosting provider. However, once business goes up, PHP calls to the backend go up as well, resulting in slow product pages and user experience in general. Your cloud/managed server hosting provider, although offering premium support, does not have deep enough expertise in WordPress or WooCommerce, doesn’t know the technical details of your business and cares for neither. When you start hitting performance problems and spend a lot of time arguing back and forth with support, then probably the time has come. 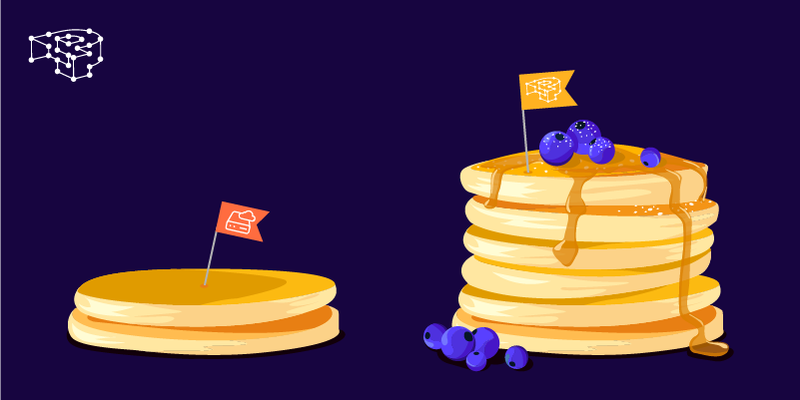 It is best to start considering migrating to a fully managed WooCommerce hosting provider, and get the whole cake; not just a piece of it. Traditional co-location hosting, VPS, or cloud computing offer facilities to easily host your own hardware, or initialize a VM with a pre-installed OS and provision complex cloud computing resources. 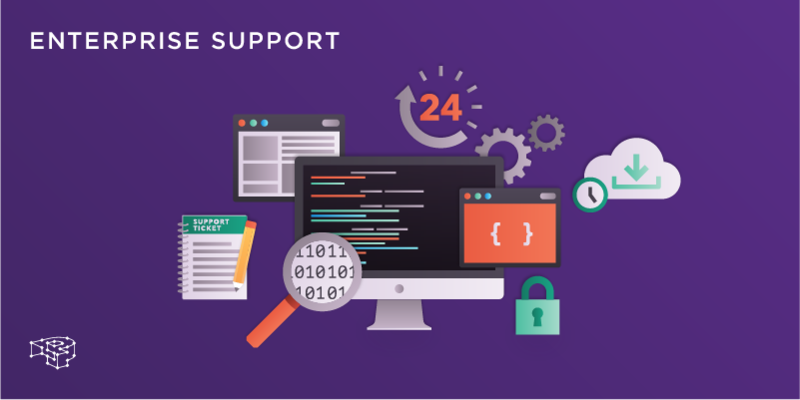 However, their premium support is limited when compared to that of a fully managed WooCommerce hosting provider. Cloud computing and managed server support usually stops at the operating system level. As long as your physical server, VM or cloud instance is up, you’re good to go in their eyes. But the reality of maintaining and growing a WooCommerce store is much more complex. Incompatible caching can break your WooCommerce store, while inadequate caching will worsen performance and speed. Too many backend PHP calls can slow down the entire WooCommerce store. Complex SQL queries can slow down database performance and product page rendering. WooCommerce speed can suffer due to many pages with product variations. Inefficient CPU resources can render your WooCommerce store inoperable. Identify and fix database bottlenecks that are specific to WooCommerce. Perform optimizations in order to mitigate SQL query complexity. Configure intelligent caching techniques in order to improve page rendering performance without breaking integration with WooCommerce (cart, checkouts, products etc). You also won’t get any automatic WordPress core updates or minor fixes either. These critical operations need to be managed by yourself, and on your own time and worry. Of course, you can choose to not perform any upgrades, but this will almost certainly result in a catastrophe later on. Either you’ll get hacked, or if you do choose to upgrade in the future, your old installation will become a technical hurdle. Similarly, your WooCommerce store will go by unprotected, as there are no WordPress related security defense mechanisms, or tools to scan and quarantine a compromised WordPress site. Break-ins are only detected if they are too obvious or steal a lot of resources. WordPress related backdoors, in the database or in the PHP code, can go by completely undetected for a long time. Although there are backup services available at cloud computing and managed server hosting providers, there is a slight problem. They are usually not free, and if they are, these types of backups are not snapshots of your WordPress data but system-wide copies of whole filesystems. Thus they aren’t flexible enough to be used on a day-to-day basis as you develop and test your WooCommerce store. You will need to setup and test backup scripts for yourself. You won’t get any out of the box WordPress staging solution, not to even mention a “1-click” staging environment. Thus you will need to develop and test such integration by yourself, with double the total cost. Having a separate staging and production environment is critical for testing and properly maintaining your WooCommerce store. Without first testing on staging, you risk you risk making changes straight on your production site and ruining everything due to a simple bug. This is a corollary to the first point and deals with the lack of business integration between you and the support team. You will have to coordinate long-term projects by yourself, and support won’t know whether you’re in the middle of a marketing campaign and expect high-traffic. We hope we made the dividing line between managed WooCommerce hosting and cloud/managed server hosting a little clearer. As we are engineers ourselves we wanted to address these issues and weaknesses and offer a complete, turn-key solution for WooCommerce store owners. A solution that helps them lead productive and hassle-free business lives, and that provides the peace of mind that allows them to sleep at night, without worrying about their site. Cut unnecessary supply chain costs and re-invest the savings back into the platform, so that our clients can benefit from better performance at a lower price than our competitors. 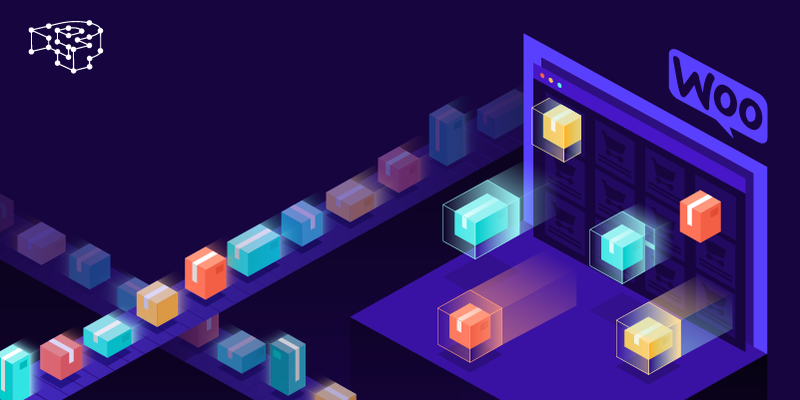 Have the freedom to design and implement subsystems at the lowest level of our architecture, that work together and are optimized for WordPress and WooCommerce. Knowing the detail of every nut and bolt in our platform, we are able to offer unsurpassed levels of technical support, not only on system level (we take care of that too) but specifically in WordPress. We manage the whole stack: from the operating system, to the web server, database, WordPress core updates, security and backups. 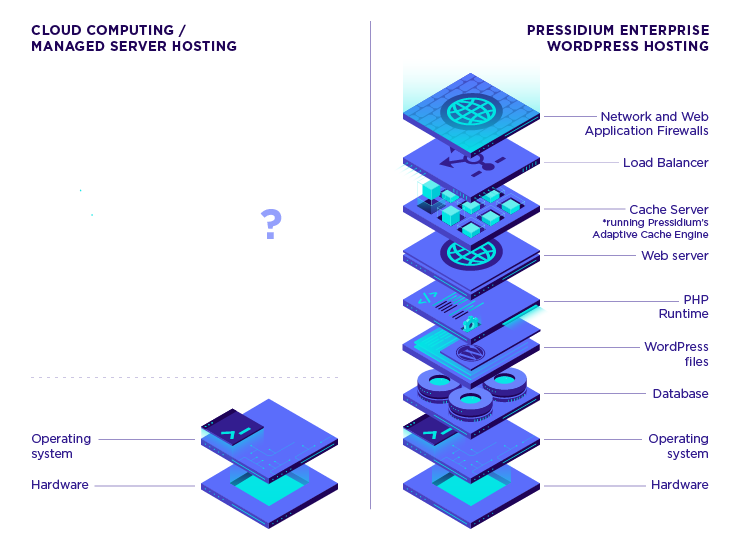 This end-to-end management (from the hardware, to the network, up to the operating system, and WordPress itself) also extends to your higher-level business goals: when you join Pressidium we become an extension of your team and serve a critical function in your organisation. We are present in meetings as stakeholders, in the design & planning as well as the execution, and monitoring of every business project, offering our technical expertise and consultation. We help in consolidating costs, planning migrations, rolling-out new platforms and features, testing, monitoring and provisioning for high-traffic events, basically any business challenge that involves highly technical decisions to be made. When your WordPress site is migrated to our architecture it is scanned for any malware activity or suspicious tampering. If we find any, we notify you, and immediately begin forensics, quarantine and clean up. Fault-tolerance. The malfunction of a component does not cause a complete system failure. Our Pressidium architecture can handle failures gracefully, and recover from errors or high-load. Higher factors of isolation and redundancy: Failure in one component does not disrupt or cause failure to others. Scalability for high-traffic peak events. 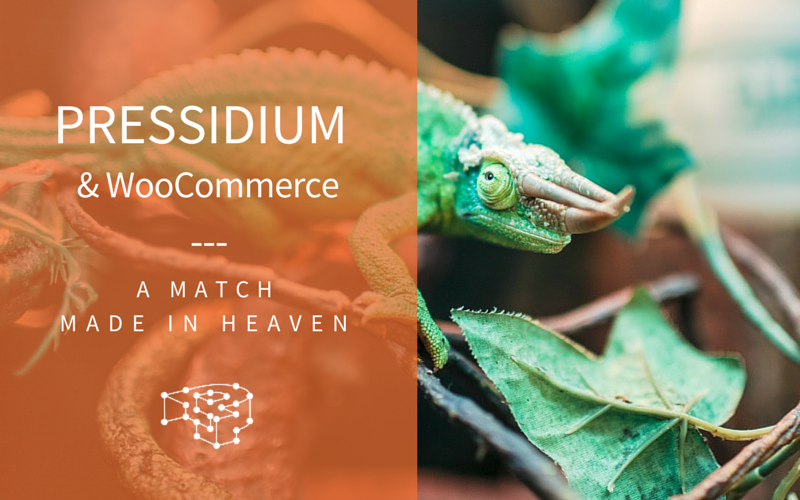 Your WooCommerce store will weather the storm even in the face of millions of visits. Pressidium Enterprise offers fully managed and highly-available WordPress hosting, an expert WordPress DevOps partnership, and dedicated account management. All these with plans starting at only $790 per month! Contact Sales engineering by clicking the button below, we are happy to talk.